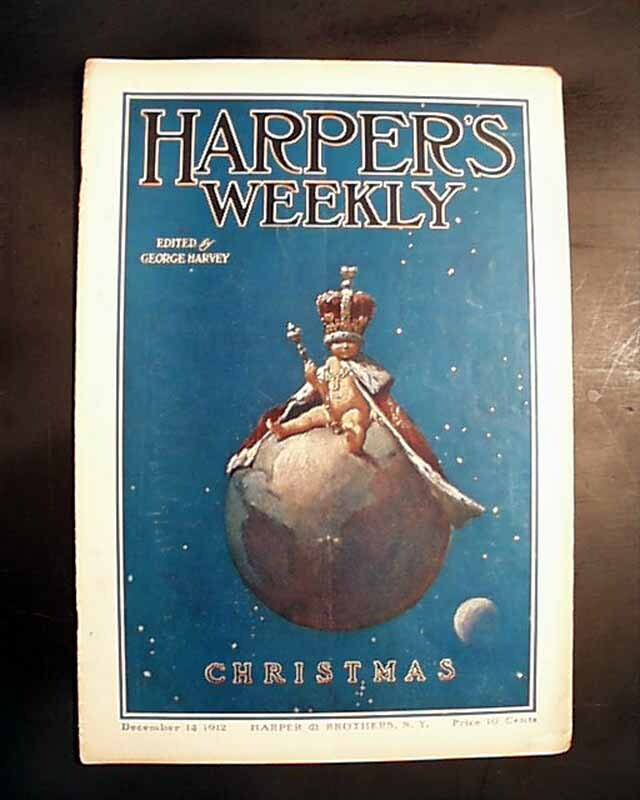 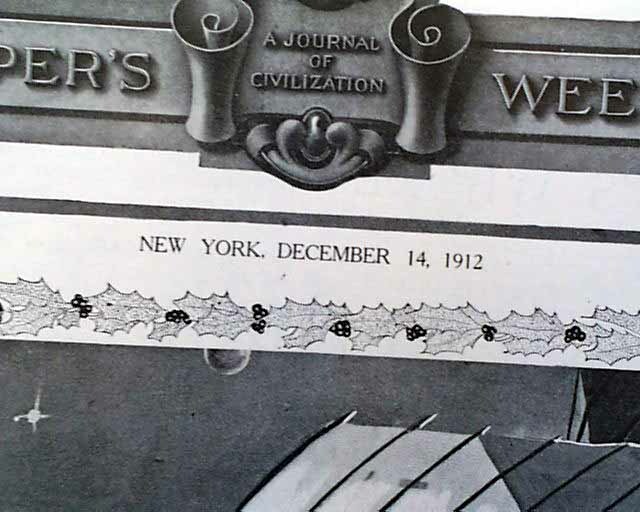 HARPER'S WEEKLY, New York, Dec. 14, 1912 (with color cover) This issue is a Christmas issue and has a color cover sheet over it. 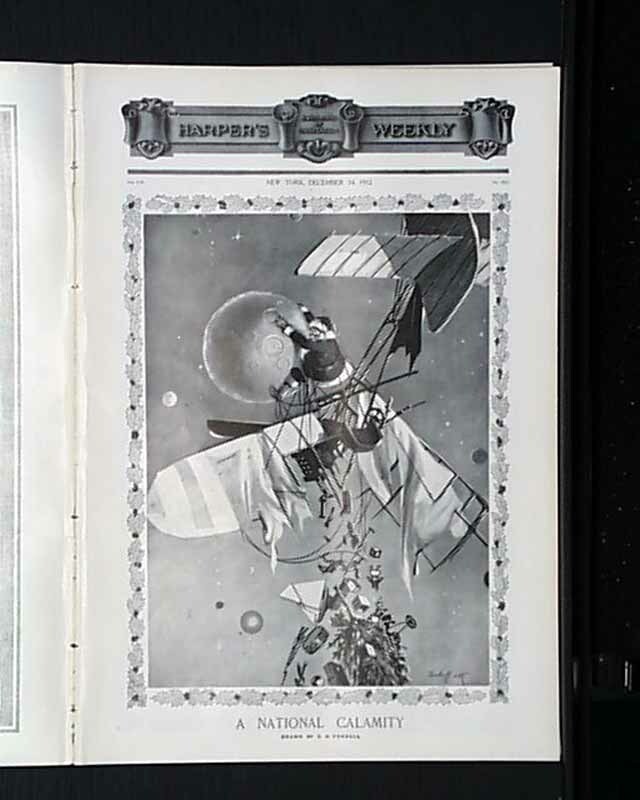 The front page of this issue has an illustration called "A National Calamity." 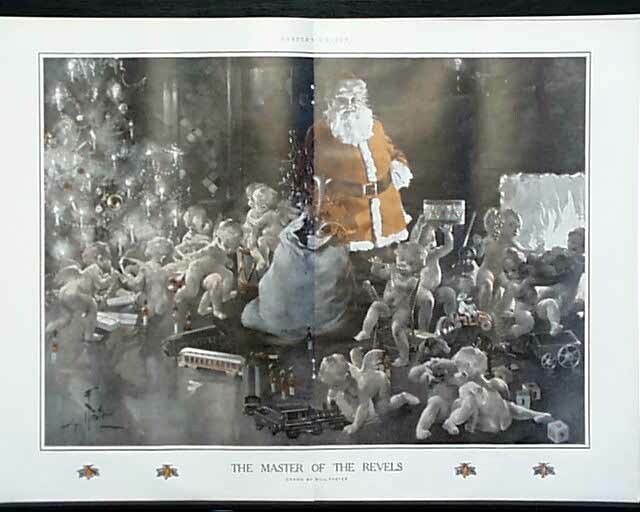 In this issue there are many short stories and illustrations including "Stories of the Christ-Child" by Charles Johnston; "Treasure Trove" by Madison Cawein and the double page illustration is color tinted and is called "The Master of the Revels" by Will Foster. 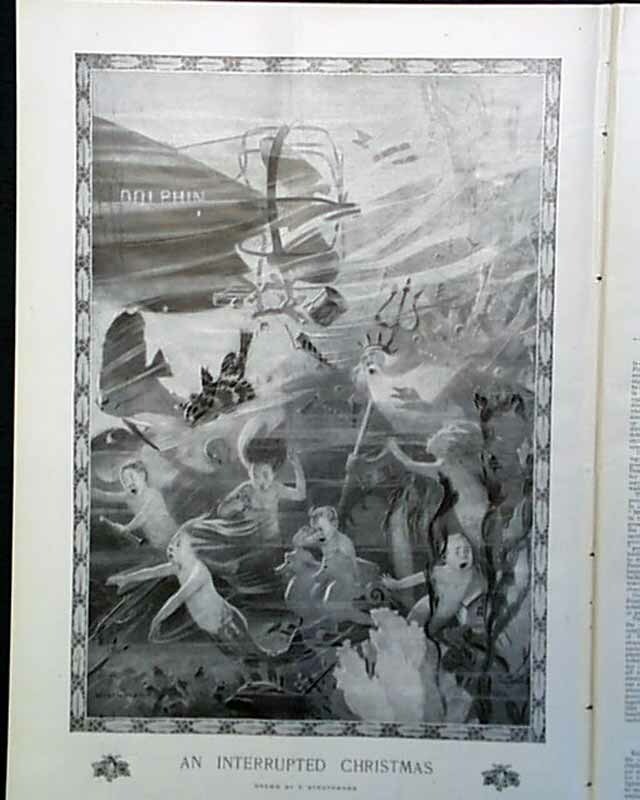 There is a full page illustration called "An Interrupted Christmas" by F. Strothmann and much more.